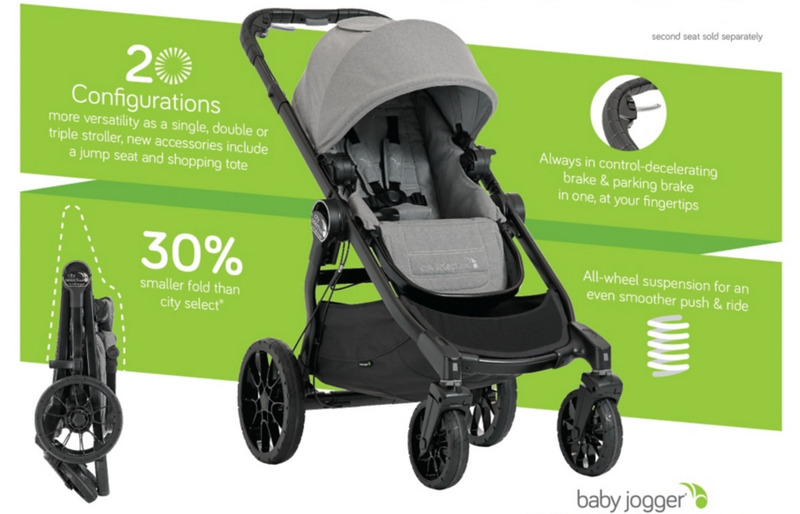 All the reasons you loved the original City Select Stroller, plus a whole lot more (and a whole lot less in some cases)!!! The fold of the new City Select LUX is now 30% smaller than the fold of the regular City Select stroller. This makes traveling and storing much easier. The brake is now located closer to your fingertips and has two settings – decelerating and parking. There are now 20 different stroller configurations available!!! 46.1" x 25.6" x 40.08"
31" x 25.75" x 12"